7 Easy Tips For A Cleaner Home.If You Have The Budget And Want To Save Some Time, You Can Hire A Residential Cleaning Service In Toronto. Cleaning a house or condo can take hours to complete. And it’s a chore many people dread. 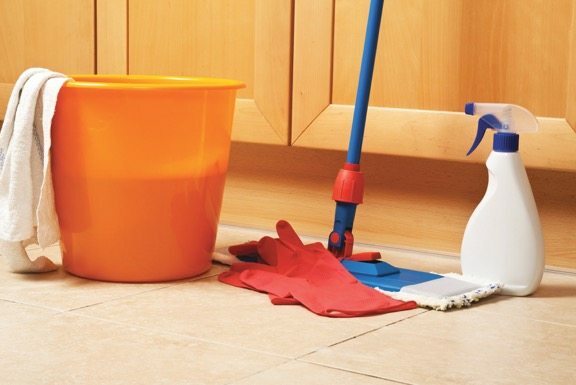 If you have the budget and want to save some time , you can hire a residential cleaning service in Toronto. Our professional cleaning staff has been offering Toronto housekeeping services since the 1980’s. Over those years we’ve picked up some helpful advice for our clients to keep their homes cleaner, longer. 1. Don’t track in the dirt. Avoid wearing outdoor shoes inside. Embrace going sock or barefooted around the house or have a separate pair of house shoes waiting at the door. 2. Dust your way out the door. As you leave in the morning, grab a reusable electrostatic cloth and lightly dust your way out each morning. Making it a daily habit will significantly reduce dust build-up on furniture and help diminish allergens in your home. 3. Keep a squeegee in the shower. After having a shower, quickly run a squeegee over shower walls and door to reduce soap scum. Also, switch to gel or liquid soap as they don’t produce the residue that bar soap leaves behind. 4. Squeegee your bathroom mirror. A squeegee is a boon to the bathroom. If your mirror gets water splashes or toothpaste splatters, squeegee it away. The warm air and condensation will easily remove it with a quick swipe, and it reduces your use of chemical cleaners. 5. Maintain a clean toilet. Keep a toilet brush in all your bathrooms and pick one day a week that you give the water bowl a quick swirl to remove the visible water line. Then run a sanitizing cloth over handle, seat, and rims. 6. Clean up the microwave. Let’s face it, the microwave is one appliance that tends to get neglected. You can make the microwave fresh and clean again by adding a few lemon slices to a cup of water and nuking it on high for five minutes. All that food and grime will effortlessly wipe away. 7. Soak it, don’t scrub it. You can save yourself some elbow grease by soaking caked on refrigerator spills. Immerse a rag in 4 cups of warm water mixed with 2 tbsp of baking soda. Place the cloth over the spill and leave it on for 20 minutes. It will easily wipe up. If you’re in Toronto and need condo cleaning or general housekeeping, trust the maid service Toronto relies on. Give Homestead Maid a call at 416-494-5452 or email us for more information today!